Leading Justice is offering limited Invokana advertising and virtual secretarial services for mass tort law firms pursuing an increased case docket of Invokana lower limb amputation claims. With over 15 years of experience helping people wronged by Big Pharma, and the staying power of an honest, 100% fraudulent-free business history, Leading Justice has the transparency in advertising to be your partner in building a large Invokana docket. Leading Justice will create and place Invokana media for your buy, screen all Invokana-related contacts according to your Invokana case criteria, single sign the client’s claim to your retainer/medical release using the most rigorous security industry certification standards, and finally send the signed Invokana claim to your intake team for the final screen and medical record retrieval. If your firm is interested in pursuing Invokana lower limb amputation claims, Leading Justice can build your docket via our effective advertising and virtual secretarial services. Law firms working with Leading Justice know they are working with an honest, transparent advertising shop that will build their Invokana docket with best marketing practices and bar opinions in mind. Confirmed use of non-generic Invokana, Invokamet, Farxiga, Jardiance, Xigduo XR or Glyxambi. Categories: Dangerous Drugs, Invokana. Tags: Amputations, Coma, Death, Farxiga, Glyxambi., Heart Attack, Invokamet, Invokana, Jardiance, Ketoacidosis, Kidney Failure, SGLT2 Inhibitors, stroke, Xigduo XR. Leading Justice is a full-service marketing company working with law firms on a cash buy basis to sign up fully-qualified, fraud-free Invokana cases. Here at Leading Justice, we can custom-tailor your firm’s Invokana advertising needs and help you sign up cases via internal cash buys. Our clients only pay an agency fee to cover the cost of Invokana advertising, plus a fee for each case we sign, and any data we generate for your firm belongs to you. In addition, we cross-qualify all of our contacts, meaning any data we generate that isn’t eligible for the target campaign is reviewed to determine whether it qualifies for another type of claim. By using state-of-the-art approaches to target contacts specifically related to Invokana use and side effects like lower limb amputations, Leading Justice will increase your firm’s Invokana case load. If you are interested in helping victims of alleged Invokana side effects, our vast consumer reach and direct advertising strategies at Leading Justice give you the competitive edge and confidence to allocate your full budget and rest easy knowing your money is being used in the best way possible. Each law firm we work with at Leading Justice plays a critical role in how we classify claims as qualified or not. Our extensive experience working with plaintiff law firms helps us recognize a great case when we see one, but we will customize our Invokana case intake specifications to meet the exact criteria you are seeking. So, if your firm has specific Invokana qualifying case criteria you would like us to use, we can train our intake specialists to apply the criteria to each email and phone call they receive. By getting rid of the middle man, Leading Justice offers clients an opportunity for internal cash buys of Invokana data with no chance of fraud. 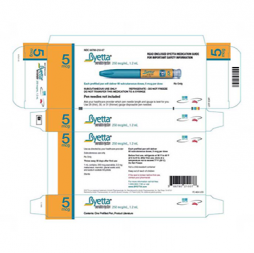 Invokana belongs to a class of medications called sodium-glucose co-transporter 2 (SGLT2) inhibitors, which are commonly prescribed in combination with diet and exercise to lower blood sugar levels in adults with Type 2 diabetes. 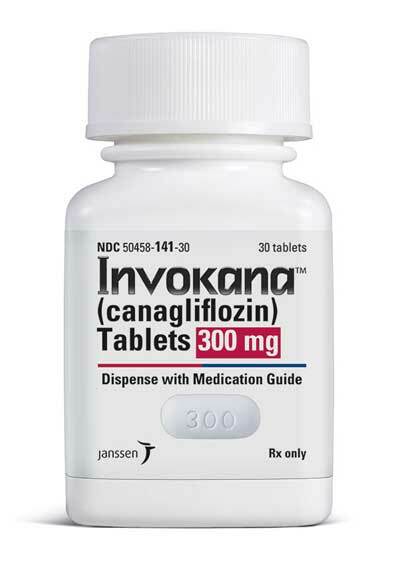 However, serious concerns have been raised about the alleged risk of Invokana side effects, after an examination of adverse event reports submitted to the U.S. Food and Drug Administration (FDA) found a potential link between SGLT2 inhibitors and complications like lower limb amputations, ketoacidosis, kidney failure, diabetic coma and death. 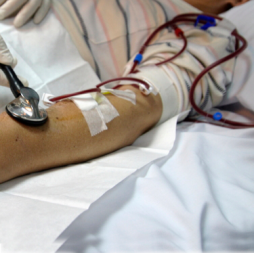 In two clinical trials (CANVAS and CANVAS-R) designed to assess cardiovascular risk in Type 2 diabetes patients taking Invokana, researchers found that, while the drug can help reduce heart problems in users, it nearly doubles the risk of lower extremity amputations. Less than six months after the results from the CANVAS and CANVAS-R trials were released, an analysis of safety reports from the FDA’s adverse event reporting system indicated that, of 66 reports submitted in connection with the SGLT-2 inhibitor class of diabetes drugs, 57 (86%) involved Invokana. 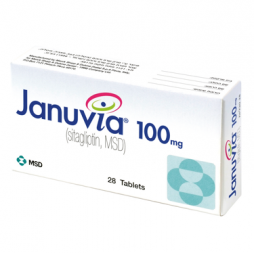 Although Invokana has been marketed by Johnson & Johnson and its Janssen Pharmaceuticals subsidiary as a safe and effective way to control blood sugar in Type 2 diabetes patients, mounting evidence suggests that Invokana and other SGLT2 inhibitors like Invokamet, Farxiga, Xigduo XR, Jardiance and Glyxambi may put users at risk for lower limb amputations, diabetic ketoacidosis, kidney failure, heart attack, stroke, diabetic coma, and other potentially life-threatening side effects. 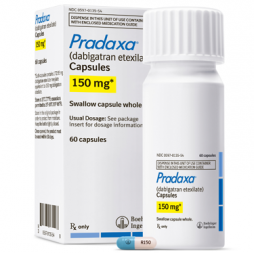 Leading Justice is offering limited advertising and virtual secretarial services for mass tort law firms pursuing an increased case docket of Pradaxa internal bleeding claims. With more than 15 years of experience helping people wronged by Big Pharma, and the staying power of an honest, 100% fraudulent-free business history, Leading Justice has the transparency in advertising to be your partner in building a large Pradaxa docket. Leading Justice will create and place Pradaxa media for your buy, screen all the Pradaxa related contacts according to your Pradaxa case criteria, single sign the client's claim to you retainer/medical release using the most rigorous security industry certification standards, and send the signed Pradaxa claim to your intake team for the final screen and medical record retrieval. If your firm is interested in pursuing Pradaxa internal bleeding claims, Leading Justice can build your docket via our effective advertising and virtual secretarial services. Law firms partnered with Leading Justice know they are working with an honest, transparent advertising shop that will build their Pradaxa docket with best marketing practices and bar opinions in mind. Contact us today to get started. 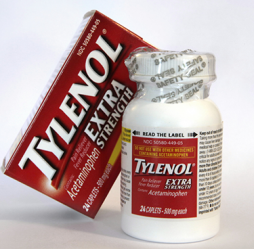 Leading Justice is offering limited Tylenol advertising and virtual secretarial services for mass tort law firms pursuing an increased case docket of Tylenol liver failure claims. With more than 15 years of experience helping consumers wronged by Big Pharma, and the staying power of an honest, 100% fraudulent-free business history, Leading Justice has the transparency in advertising to be your partner in building a large Tylenol docket. Leading Justice will create and place Tylenol media for your buy, screen all Tylenol-related contacts according to your Tylenol case criteria, single sign the client's claim to your retainer/medical release using the most rigorous security industry certification standards, and finally, send the signed Tylenol claim to your intake team for the final screen and medical record retrieval. If your firm is interested in pursuing Tylenol liver failure claims, Leading Justice can build your docket via our effective advertising and virtual secretarial services. Law firms partnered with Leading Justice know they are working with an honest, transparent advertising shop that will build their Tylenol docket with best marketing practices and bar opinions in mind. Contact us today to get started. 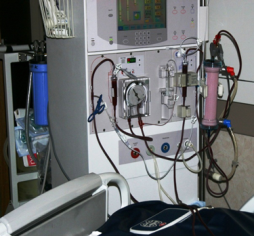 Leading Justice is offering limited GranuFlo and NaturaLyte advertising and virtual secretarial services for mass tort law firms pursuing an increased case docket of dialysis heart attack claims. With over 15 years of experience helping people wronged by Big Pharma, and the staying power of an honest, 100% fraudulent-free business history, Leading Justice has the transparency in advertising to be your partner in building a large GranuFlo and NaturaLyte docket. Leading Justice will create and place GranuFlo and NaturaLyte media for your buy, screen all related contacts according to your GranuFlo and NaturaLyte case criteria, and single sign the client's claim to your retainer/medical release using the most rigorous security industry certification standards. Finally, we will send the signed GranuFlo or NaturaLyte claim to your intake team for the final screen and medical record retrieval. If you are interested in pursuing GranuFlo and NaturaLyte heart attack claims, Leading Justice can build your docket via our effective advertising and virtual secretarial services. Law firms partnered with Leading Justice know they are working with an honest, transparent advertising shop that will build their GranuFlo and NaturaLyte docket with best marketing practices and bar opinions in mind. Contact us today to get started. Leading Justice is offering limited Byetta and Januvia advertising and virtual secretarial services for mass tort law firms pursuing an increased case docket of Byetta and Januvia pancreatic cancer claims. With more than 15 years of experience helping consumers wronged by Big Pharma, and the staying power of an honest, 100% fraudulent-free business history, Leading Justice has the transparency in advertising to be your partner in building a large Byetta and Januvia docket. Leading Justice will create and place Byetta and Januvia media for your buy, screen all related contacts according to your qualifying case criteria, single sign the client's claim to your retainer/medical release using the most rigorous security industry certification standards, and send the signed claim to your intake team for the final screen and medical record retrieval. If your firm is interested in pursuing Byetta and Januvia pancreatitis or pancreatic cancer claims, Leading Justice can build your docket via our effective advertising and virtual secretarial services. Law firms partnered with Leading Justice know they are working with an honest, transparent advertising shop that will build their Byetta and Januvia docket with best marketing practices and bar opinions in mind. 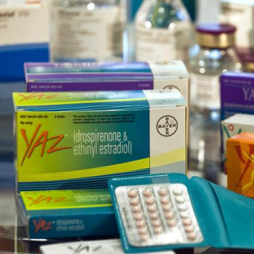 Leading Justice is offering limited Yaz and Yasmin advertising and virtual secretarial services for mass tort law firms pursuing an increased case docket of oral contraceptive blood clot claims. With more than 15 years of experience helping people wronged by Big Pharma, and the staying power of an honest, 100% fraudulent-free business history, Leading Justice has the transparency in advertising to be your partner in building a large Yaz docket. Leading Justice will create and place all Yaz media for your buy, screen all Yaz-related contacts according to your qualifying case criteria, single sign the client's claim to your retainer/medical release using the most rigorous security industry certification standards, and send the signed Yaz claim to your intake team for the final screen and medical record retrieval. If your firm is interested pursuing Yaz and Yasmin injury claims, Leading Justice can build your docket via our effective advertising and virtual secretarial services. Law firms working with Leading Justice know they are working with an honest, transparent advertising shop that will build their Yaz and Yasmin docket with best marketing practices and bar opinions in mind. Call us today to get started. 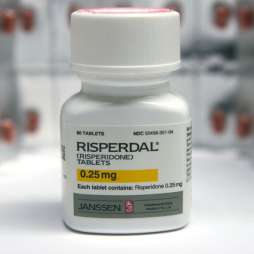 Leading Justice is offering limited Risperdal advertising and virtual secretarial services for mass tort law firms pursuing an increased case docket of Risperdal gynecomastia claims. With more than 15 years of experience helping consumers wronged by Big Pharma, and the staying power of an honest, 100% fraudulent-free business history, Leading Justice has the transparency in advertising to be your partner in building a large Risperdal docket. Leading Justice will create and place Risperdal media for your buy, screen all of the Risperdal-related contacts according to your Risperdal case criteria, single sign the client's claim to your retainer/medical release using the most rigorous security industry certification standards, and finally send the signed Risperdal claim to your intake team for the final screen and medical record retrieval. If your firm is interested in pursuing Risperdal gynecomastia claims, Leading Justice can build your docket via our effective advertising and virtual secretarial services. Law firms working with Leading Justice know that we are an honest, transparent advertising shop that will build their Risperdal docket with best marketing practices and bar opinions in mind.